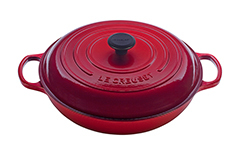 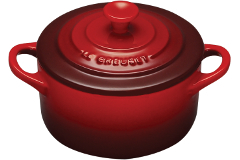 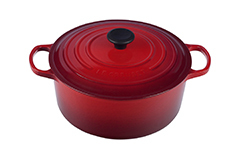 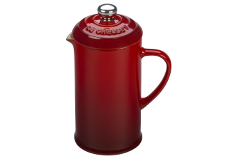 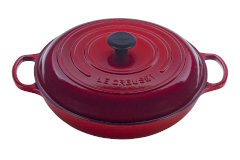 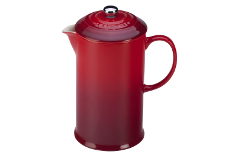 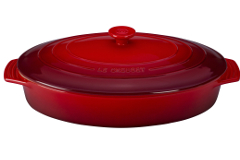 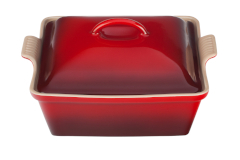 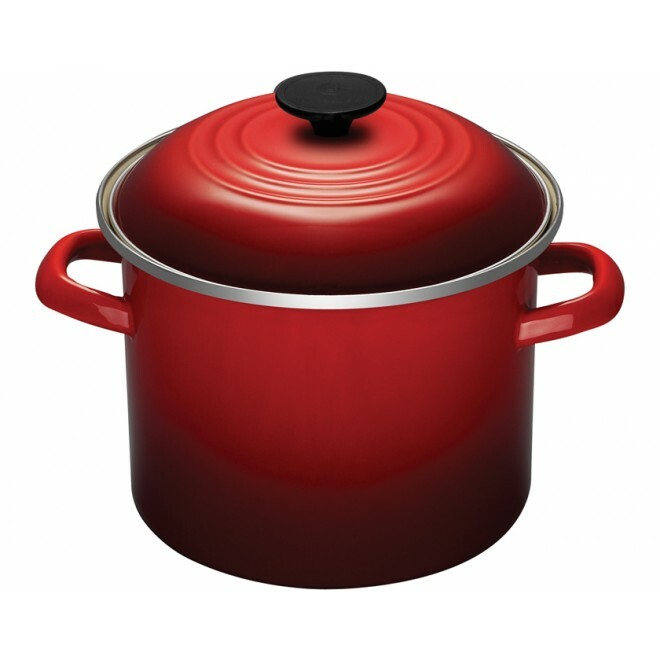 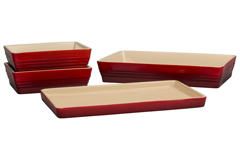 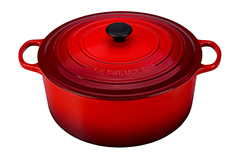 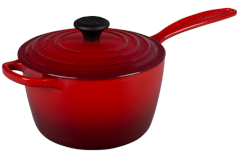 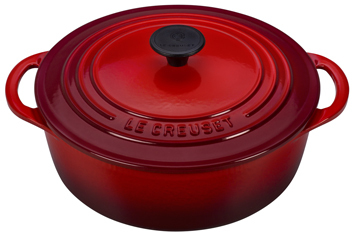 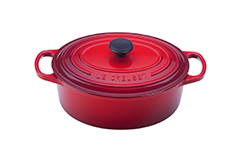 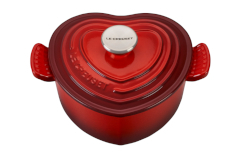 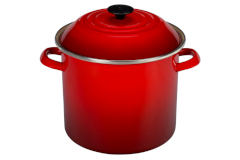 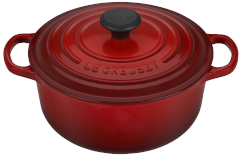 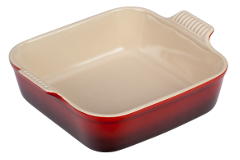 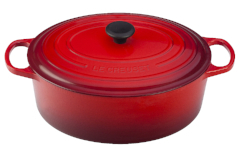 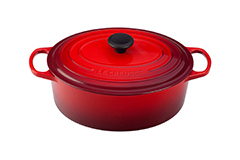 One of the most popular colors of LeCreuset is Cherry, which in French is called Cerise. We call it beautiful in every kitchen! 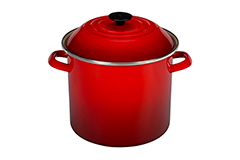 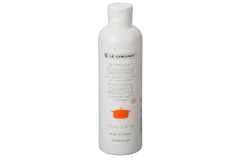 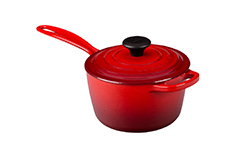 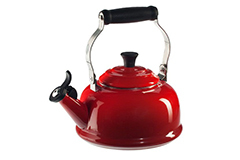 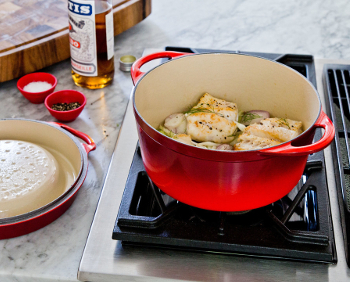 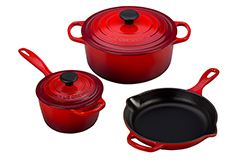 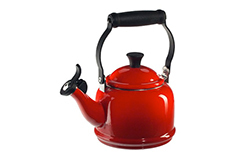 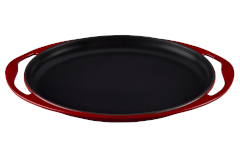 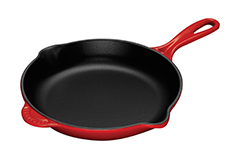 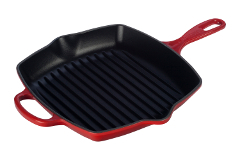 LeCreuset enameled cast iron cookware is made in France and comes with a lifetime warranty.